Sport+ and HRT confirm their commitment to broadcasting the EHF Champions League. 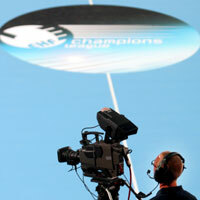 Vienna, 15 June 2009 – EHF Marketing GmbH, daughter company of the European Handball Federation,is pleased to announce the extension of two TV agreements on major markets of the EHF Champions League, France and in Croatia. The sports channel of the French premium pay television, Canal+, has extended its broadcast contract for the Men’s and Women’s EHF Champions League. Sport+ will own the rights to show CL games on French territories in the period between 2009 and 2012 with an option for the 2012/13 season. The interest in handball all over France has never been so high before. With the men’s national team winning European, World and Olympic Championship titles and the top clubs, Montpellier HB and Chambery Savoie HB playing an important role in the EHF Champions League, all eyes will be on the French stars in the upcoming seasons. Sport+ will broadcast the home and away matches of the French men’s and women’s teams in the competition with additional top games on the programme and a weekly magazine. According to the agreement, the French fans can also watch the Final Four, the spectacular closing event of the season. EHF Marketing GmbH has also renewed the broadcast deal with the Croatian state TV channel. HRT has been showing the games of the Men’s and Women’s EHF Champions League since the beginning of the competition in Croatia and now the company secured the broadcast rights until the end of the 2011/12 season. The Croatian market has deep-rooted handball traditions with a passion for the game seen in very few countries. The popularity of the men’s top team CO Zagreb and the women’s elite squad Podravka Vegeta guarantees outstanding audience figures for the channel. At the same time HRT provides the best possible reach for the Champions League on the Croatian territory. The deal amounts to a highly significant increase in financial terms. The market value of the EHF Champions League competition in Croatia has tripled respect to the previous period which confirms the steady development of the product in the region. In the next three seasons, HRT will broadcast all the games of all Croatian teams home and away, additional top matches, highlight programming and also the newly introduced Final Four. “The enthusiasm of the Croatian fans and the high quality of their traditional CL teams underline the importance of the Croatian TV market. The rise of the value of our product in the country is a highly positive feedback for us and it is a pleasure to continue the cooperation with a reliable partner,” EHF Marketing Managing Director, Peter Vargo says.